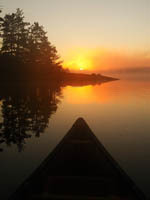 This route has been mentioned in previous threads here, at times in response to questions searching for a different canoe route. After finding this recently-created vid on youtube, I've included it in the fishing forum since fishing was a priority. Lots of fish caught in September 2017 and almost nobody else around, peace and quiet. 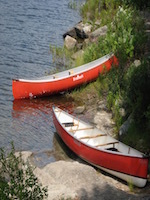 High quality with some good scenery, cliffs, and descriptions of campsites. An hour long, there is a longer version in several parts for anybody interested. PS.... several more TRs at this page, appear to be backcountry angling from a canoe, haven't seen them yet. Dunlop, Rossport and others, looks good. Jonathan Kelly from BAO shoots some great videos from awesome locations, and 99% always solo. Lots of work getting to those spots but as we all see the rewards pay off and you wont see a soul on your trips. Lost canoe routes is definitely the way to go for great fishing and no crowds. Have several planned for myself this season. thx FT---was there a route map included/ I didn't watch the hole video. All that I can recall is the map being brought close to the camera with the route drawn on it... it might be the same route as here, the campsite at the beginning at Sothman lake looks the same. Writing down the lakes and rivers plus ports as you watch the vid might help.... (I still haven't seen the last few minutes, ran out of time). I made a google map based on Jonathan's reports and maps, and I also have a copy of his PDF map there to download. I definitely would love to do this loop some day. I always enjoy Jonathon's reports. He knows how to film and edit. He makes his stories fun while he shares useful information. Doesn't play "the expert", but with hard work is fast becoming one. Refreshing to view TP's that really don't seem, at least from what I've seen, to be plugging commercial products. I don't wish to denigrate the excellent work of many others whose sponsorships make their creative work possible and which create for them a place in a competitive industry, but for me, personally, it is very refreshing to view someone's work and not have to tolerate the inevitable "pitch". Perhaps something of the spirit of the old days à la Bill Mason, but with a very different personality. If you haven't yet done so, do yourself a favour and check out Jonathon's videos on Youtube. I'm subbed to BAO (Jon's y-tube) and am enjoying his backcountry angling canoe trips for precisely the reasons Martin mentions. Excellent trips, info and host. The canoeing looks good but the reports on the sites is pretty mixed. If men wonder why their wifes/gf's don't want to canoe camp a big hint is sanitation and happy can be linked The detail is great in that I find at least the small/single sites tend to be better for that. I wonder though about the connection between atv and epic bad behavior though. Guys, thanks so much. Made my day. The videos are pretty simple but it's fun to do. I've got a map for Grassy as well as Magetawan, and a more simplistic map for the Algoma Headwaters route. I've just been distributing them through Dropbox. Funny you mention "the pitch" Martin. My first career was in marketing. The promotion/self-promotion/consumerism...now I can't stand it. GIS'er now, hence the maps. Since your already doing recreation hammock, the next step is to get the bugnet versions and a little under blanket and no more on the ground for you. It's not for everyone but once you get the side tieouts there's much less sway than the afternoon chill out ones. Opens up more places although its nice to to get some open air etc. Yeah Steve, hammock sleeping is the way to go. Refining that system is in my plans, but the big downside is the inability to cuddle at night Unless there is a backcountry hammock for couples...I would need to know about that. And with limited time and a climate crisis, I fully agree on exhausting closer options first! @cbert thanks!! It's a fun and worthwhile route. 3) If you turn up Dumbell Creek on your way to Ferris Lake, I've heard that the fishing in Dumbell Lake is quite good. Hey Jonathon, what a nice video on the 'Grassy'. Rosa has taken to watching many of your BAO videos from youtube and enjoying them immensely. Thank you for doing the videos and sharing.